ItemG-06448 - Totem poles at Alert Bay. ItemI-33191 - Plug Hat Tom and canoe crew; Tatla Lake. ItemI-33192 - Bear Lake Tom and family. ItemI-33193 - Indian chief at Soda Creek rancherie. 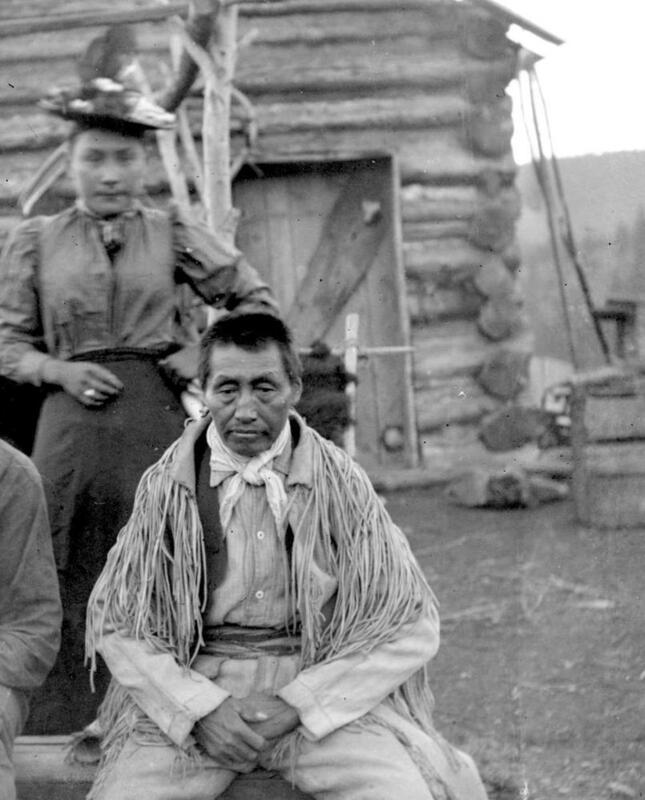 ItemI-33194 - Daniel Teegee and family; Takla Lake. ItemF-07986 - A big eddy at the foot of Deserters Canyon on the Finlay River. ItemF-07991 - The foot of Deserters Canyon on the Finlay River, see SW4004. ItemF-07989 - The foot of Deserters Canyon on the Finlay River, see SW4004 and SW4006. Item I-33193 - Indian chief at Soda Creek rancherie.